CRIMINAL COMES TO IMAGE! To celebrate the return of CRIMINAL to print, BRUBAKER & PHILLIPS return to their awardwinning title for the first time in years for a 48-page special sure to thrill their readers, old and new alike! It’s 1976, and Teeg Lawless is doing 30 days in county jail with a price on his head, his only safe company from the savagery a beat-up old comic magazine his dead cellmate left behind. 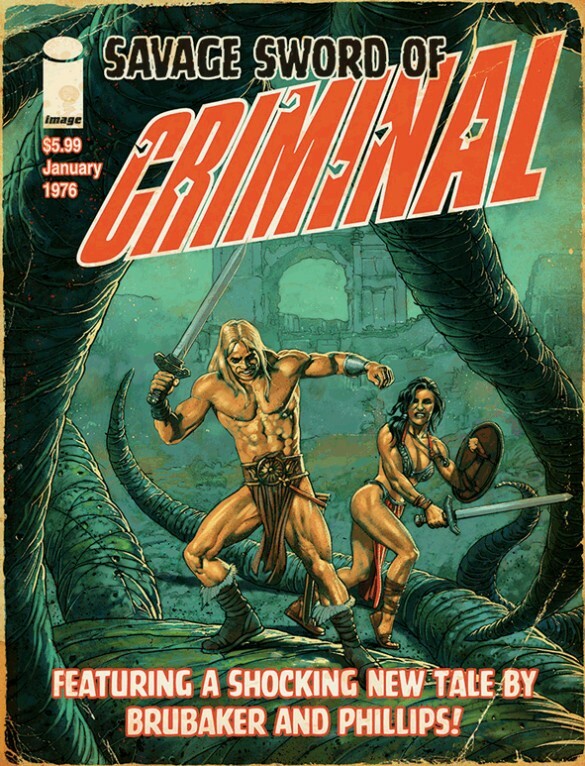 It’s CRIMINAL like you’ve never seen it before, with a comic within the comic and all those slick ‘70s thrills!